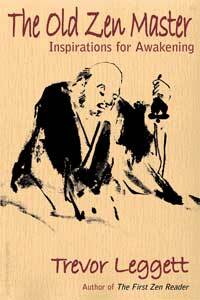 When the instincts are out of control, they become selfish, and this gives rise to all the defilements. The out-of-control instincts pull the mind off the Middle Way into the dead-end of the kilesa (the mental defilements). This is very important to know. We often call these things the defilements, but we can see that they are just instincts which are out of control. Seeing this gives us an insight into how to bring them under control so that they no longer become defilements. This is something to be very interested in in order to get back on the path, to return to the balanced, right state of mind. To make it easier to understand, we can look at certain pairs of things which take us off the Middle Way. The first pair is ‘extremes of the left and extremes of the right’. The extreme off on the left is to go too much according to one’s own wishes and desires. This is the extreme of lust or desire, of sensuality and the indulgence of sensuality; it is indulging in things which lead to pleasure, always trying to satisfy pleasures—this is the one extreme. The other extreme—off on the right—is the opposite. It is extreme dislike, hatred, aversion to things. We can hate ourselves, deliberately inflict pain, discomfort, and difficulties upon ourselves. Or we can hate or dislike lust. By attaching to this hatred of lust, we may deliberately try to damage the sensual organs, in the vain hope that lust will be destroyed. So the first pair of extremes is indulgence in pleasure, and indulgence in affliction and pain, or self-torment. The next pair is very similar to the first and is, basically, a metaphor to describe it. The one extreme is to be soaking wet, to be drowning in sensuality, in sense-pleasures, greed and lust. This is to be sinking in the ocean of desire, to be all wet. The other extreme is to be burning—roasting until one is very dry and then begins to burn. The third pair of extremes is to take some things as positive and others as negative. The positive are things we are satisfied with. Things which cause dissatisfaction we judge to be negative. These are two kinds of attachment—attaching to things as positive and attaching to things as negative. This means that the mind stupidly goes off in one direction and clings to something as positive, or stupidly bends off in another direction and clings to something else as negative. Positive and negative are not the Middle Way; they’re attachment to extremes. If we look at the world these days, we shall see that practically everybody has gone off into the positive. They have gone off track into satisfaction. This is a kind of slavery to the positive and causes problems. It also leads to hatred of the negative, and that causes other problems. The way has to be found to get out of these kinds of slavery and be free of both the negative and positive in order for the mind to be in the middle, to be balanced. The fourth pair is to go off and look at the world as: ‘Oh, everything’s good! Everything’s wonderful!’ This is the extreme of optimism. Its opposite is to look at everything as horrible and terrible: ‘The world stinks!’ This is the extreme of pessimism. Neither of these are the balanced Middle Way. When the mind loses its balance, when the natural balance of mindfulness and wisdom have been lost, misplaced, or forgotten, then the mind sidetracks into the positive and the negative, pessimism and optimism. Going off into optimism is attachment of one kind, and going off into pessimism is attachment of another. The mind becomes a slave to optimism or pessimism, to these kinds of attachment. The mind is therefore no longer free, at ease, or balanced. These extremes, these attachments of optimism and pessimism, are types of insanity, of craziness—the craziness of thinking everything is wonderful, and the craziness of thinking everything is terrible. Neither of these are the Middle Way, neither are correct, and neither allow one to live in accordance with reality, to live naturally according to the law of nature. We no longer see things as they really are; we don’t see the world as ‘only this’ or just-as-it-is, is-ness, suchness, just the way things are, what is what. When the mind is balanced, it sees the is-ness, the what is what of everything. Now let’s look at what it means to be balanced, to be in the middle. When in the middle, there is the realisation that everything is just changing, flowing, according to the law of idappaccayata (this being, that becomes; this being, that becomes; this being, that becomes . . . ); it is the eternal process of cause and effect, an effect being the further cause of other effects. This is what is going on in the middle. We can also see this as the process of Dependent Origination (paticcasamuppada). This is the law of nature. When the mind is pulled off into extremes, it isn’t able to see or understand this law, but when we come back to the middle and there is balance, then things, reality, nature, life, is understood as flowing according to the law of: this is, that becomes; this is, that becomes; this is, that becomes . . . To be at the centre is to see that there is nothing outside this law; it is to make no distinction between anything. Just to revise my translation of idappaccayata, I would like to so that ‘this is, that becomes’ isn’t quite right. When everything is realised according to the law of idappaccayata, then there is no longer any ‘this’ and ‘that’, there is only ‘this’—’this is, this becomes; this is, this becomes’. When this is understood fully, there is no distinction between’this’ and something else. Everything is just ‘this’. There is no division and separation of self and others, of me and them, of us and they. These distinctions no longer have any validity because everything is seen as the law of idappaccayata (this is, this becomes; this is, this becomes; this is, this becomes). And that’s all. Without these separations, divisions, distinctions, there can be no extremes such as pessimism and optimism, or positive and negative. There is just this middle, this balance of the law of idappaccayata—this is, this becomes. Now, let us look again at the pairs of opposites. As we all know, there are many of these. Good and evil, for example. Once again, when the mind is out of balance and is no longer in the middle, it takes sides and makes preferences. When something pleases us, therefore, or goes the way we want it to, we judge it to be good; it is evaluated as good in an unbalanced, selfish way. When something doesn’t please us, when it doesn’t go the way we want it to, that is judged to be evil. Neither of these are balanced because they are not seeing things as they really are, as just the process of idappaccayata (this is, this becomes). We then evaluate things as good and evil in a selfish, egocentric way. To be balanced, however, the proper way of phrasing this would be to say that the mind is above the meaning of good and evil. If you understand what is being said about this pair of opposites, then you will understand what is written in the Christian Bible under The First Book of Genesis. God forbade Adam to eat the fruit of the tree of the knowledge of good and evil. God told Adam to leave that fruit alone. He said, ‘If you eat of the fruit of the tree of the knowledge of good and evil, then you will die.’ Attachment to good and attachment to evil is death. The common person sees everything as they appear to him or her. Everything is judged according to dualism. All these pairs of opposites are believed to really exist as far as the mind of the common person is concerned. But this isn’t the truth. These common appearances—these views of the common mind—are not true or real. When we follow these appearances of dualism, this leads to attachment to good and attachment to evil, and this is death. This is what is meant in the second chapter of The First Book of Genesis. The next pair of opposites which we will look at is happiness (sukha) and unhappiness (dukkha). Happiness is when there is something that pleases, and unhappiness is when there is something that displeases. Once again, selfish judging is present here. Now, happiness also leads to various problems—getting tired by chasing after it, the frustration of not getting more, the fear that the happiness will go away, and so forth. Happiness itself, therefore, is not free of problems. Unhappiness we have no doubts about—it always leads to problems, so we don’t have to give any examples of it. Both of these extremes, both of these kinds of attachment to what pleases and what displeases, causes all sorts of problems and difficulties. They tire us out, frustrate us, and confuse us. Neither are the balanced, Middle Way. So, we ought to learn about these attachments to what pleases and displeases, to happiness and unhappiness. They are just deceptions and illusions which cloud the mind or which encourage the mind to leave the place of balance, where things are understood to be merely proceeding according to idappaccayata—when there is this, this arises; when there is this, this arises; this is, this arises; this is, this becomes. The next pair to look at is getting and losing, or profit and loss—when one thing happens and is judged to be to our advantage, and something else happens which is judged to be to our disadvantage. But when we start thinking in terms of profit and loss, and attaching to these terms, then the mind has fallen into deception. Winning and losing—everybody is attached to winning and nobody likes to lose. This creates all sorts of problems, because there is no realisation or understanding of idappaccayata (this is, this arises; this is, this arises; there is this, this becomes). A further pair of opposites to consider is male and female. Making these distinctions and separations, and attaching to them, brings many problems. We make the separation of male and female where there is no real distinction, instead of just seeing the process of change which leads to certain things being called female and certain things being called male, change which keeps changing, which is never anything solid or static. It is through not seeing, not realising, the law of idappaccayata (this is, this becomes) that these things happen. It is very important to find and notice the causes of our deceptions. These attachments only occur because of delusion, not knowing the middle, the balanced truth or reality of ‘this is, this becomes; this is, this becomes’. In order to see how this attachment to opposites arises, just look at time. Now, we divide time into day and night, and then we see day and night as opposite things. This is just our own stupidity in not seeing things as they really are. We think that day and night are completely different things, but it is merely the change of this thing we call time; it is just change according to idappaccayata (this is, this becomes); that’s all. In what we call day, there are these changes where there happens to be more sunlight, and then these changes continue and there happens to be more moonlight. But in this process of change, there is no real thing that we can attach to as day or as night. It’s only our misunderstanding which causes us to fall into this deception. 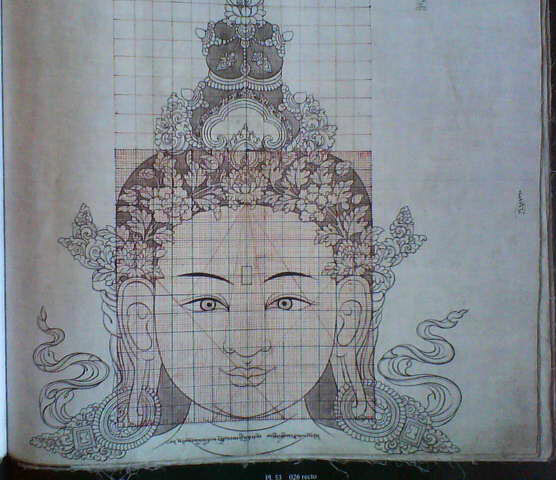 We hold that idappaccayata (this is, this becomes) is Buddhism itself. 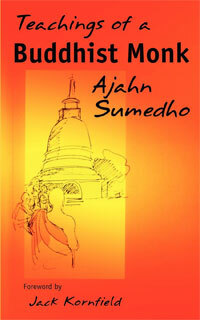 The Blessed One, the Lord Buddha, said that, ‘He who sees the dharma, sees the Buddha. He who sees the Buddha, sees the dharma.’ The Blessed One also said that the one who sees idappaccayata sees the dharma. The one who realises the dharma, realises idappaccayata. The one who realises idappaccayata sees the Buddha—not the physical body of the Buddha, but the real, true, genuine Buddha, the One Who Knows, the Awakened One. This is why idappaccayata is the heart of Buddhism; it is the dharma, the truth, the way things are. 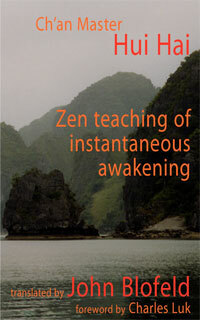 To see and realise this is to follow and practise the Middle Way. I would like you to become familiar with this word ‘idappaccayata‘ (this is, this becomes). Think about it, get to know it so that it is no longer a strange, unfamiliar word. When there is the realisation of idappaccayata, then there is no attachment to any extreme or to any of the pairs of opposites. The realisation, the experience and full understanding of idappaccayata will protect the mind; it will maintain it in the middle so that nothing can pull it out of balance, nothing can pull it out of the centre. Incredible — thank you so much for sharing so much wisdom! 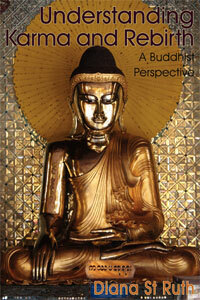 Is ‘It is what it is’ consistent with the Middle Way? Don’t think it can be anything else, John.